We show that it is feasible to collect comprehensive field data at the watershed scale using a statistically rigorous design with moderate effort. In addition, we propose an approach for integrating a broad suite of indicators to describe watershed condition. Values associated with fish and their habitat can be recognized in B.C. through the designations under several statutes (e.g. Forest and Range Practices Act, Oil and Gas Activities Act, and the Land Act). A designation under one of these requires the respective sector(s) to operate such that they do not adversely impact aquatic habitat values necessary to fish. Assessing watershed condition, and understanding the effectiveness of legalized watershed designations under these statutes, is critical to the future management and maintenance of key values hosted in these watersheds. Watershed condition depends on the interaction of processes in the upslope, riparian, and stream channel subsystems. A unique element to our approach is that we consider the watershed as a whole and explicitly assess all three subsystems. In the Watershed Status Evaluation (WSE) protocol we use a combination of remote sensed and field data to evaluate these three subsystems. Repeatable rapid biological assessment protocols were developed to collect key field data at a broad spatial scale with limited budgets. Another unique element of our approach is the use of statistically rigorous sampling where sites are selected at random locations in the watershed according to a spatially balanced stratified random design. The probabilistic approach to selecting sites means that we can quantify the relationship between the sampled sites and the rest of the watershed, unlike traditional stream surveys in BC which use using non-probabilistic approaches. 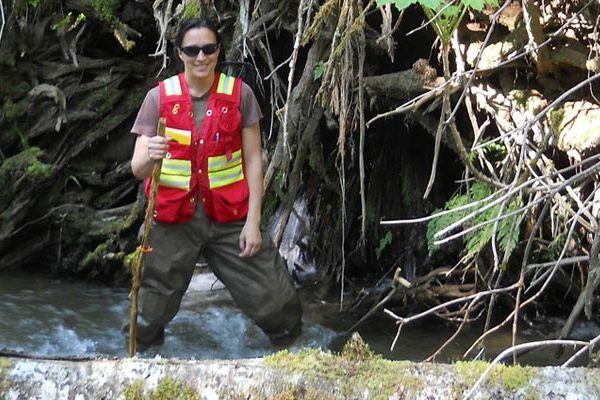 Pilot sampling design and associated data collection were originally undertaken within two candidate watersheds in the Province: Skeena Region’s Lakelse drainage (2010-2011) and Campbell River’s Memekay drainage (2012). Since then we have successfully applied the protocol to three additional watersheds. We assisted a regional initiative in the Wanokana watershed (Vancouver Island, 2013), and we worked with the Office of the Wet’suwet’en (OW) to complete assessments in the Owen (2014) and Lamprey (2015) watersheds in the Morice drainage of the Skeena. This involved training OW staff in the WSE protocol and working with them to collect and analyze the data. We show that it is feasible to collect comprehensive field data from an entire watershed using a statistically rigorous design with moderate effort. In addition, we propose an approach for integrating a broad suite of indicators to describe watershed condition. The goal of this project is to develop a standardized methodology of both remote-sensed (GIS) and field-based monitoring of watershed condition for application to watersheds with high fish (and other) values across the province. Others will be available soon.